Good morning all. I hope that your writing is going well. First off, I’d like to mention that I have a guest post up at Write like a pro! Thanks for having me, Chris E.
Today I have a spotlight interview with Jon Paul, of Where Sky Meets Ground. How and why did you end up participating in National Novel Writing Month? I’d toyed with writing novels over the years, but never really made much progress. I’ve only been pursuing fiction seriously for about two and half years now, so the challenge of NaNo aligned nicely with my desire to get out there and tackle a big project. I managed to come in just under the wire, crossing 50k on the last day of the month, but I learned a plethora of valuable lessons about myself in the process. I’m writing about a shy and diffident U.S. Army soldier fighting in 2006 Iraq who guns down a local shopkeeper at the beginning of the story. When he suffers a loss of confidence as a result of the incident, a fellow soldier with the innate ability to pacify the aggression of others aids him as he strives to defy his corrupt squad leader, bring the fight to the enemy, and restore his own sense of self worth. There’s a post on my blog for those who’d like to know more. 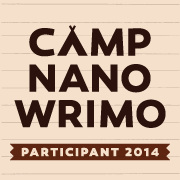 What’s your favorite part of Nanowrimo and why? The best thing about NaNo is the cameraderie with friends and fellow writers, all striving toward the same goal. The heady mix of competition, spirit of support and encouragement, and the pure adrenalin rush from watching my word- counter climb day after day is an amazing experience. There really is nothing like it! I think I’ll probably keep my hand in for NaNo in future years also, even if I get published, simply because it’s so much fun. Who’s the best character in your Nano? At the moment, I kinda dig my antagonist. He’s a career First Sergeant with a mean streak a mile long–and he totally has it in for my MC. I don’t have a lot of experience creating characters who could be classified as out and out villains, so I’m enjoying figuring out what’s in his head. Sneaky Ninja Question! Do you have any pet peeves when you write? Sometimes my internal editor gets in the way, especially when I’m writing a first draft. It can be a challenge sometimes to silence that guy and just plow through the words–and it bugs me when I can’t do it. 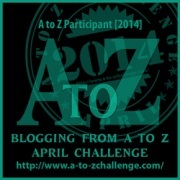 This entry was posted on Thursday, November 17th, 2011 at 11:04 am and is filed under Wrimos. You can follow any responses to this entry through the RSS 2.0 feed. You can leave a response, or trackback from your own site. This is my first NaNo. I had never heard of it until around October 28th of this year. I am digging it! This was a cool interview. I’m a long-time fan of Jon Paul, and I’m glad he’s getting into NaNo. The bits he’s posted of his writings are fabulous. Sorry JP, didn’t mean to talk about you like you’re not here . .
Chris–Thanks for the opportunity to share my thoughts! And good luck to all you NaNo-ers out there as you plow toward 50k! Like Donna, I’m a long time fan of JP’s. Looking forward to purchasing the “old” helicopter pilot’s first novel. Thanks for the interview Chris.